When the Frank Erwin Center website was redesigned, I redesigned several other pieces to match the look and create more cohesive branding across all materials. 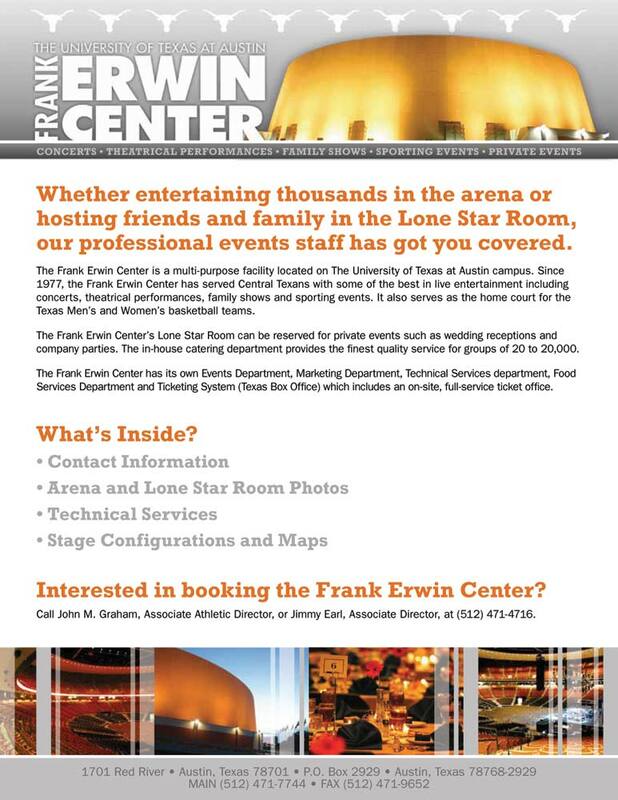 I created this tri-fold brochure to be consistent with the new branding and to provide information about booking events at the Frank Erwin Center. I established a clear hierarchy of headers, subheaders, and body copy to keep the substantial amount of copy well organized and easy to skim through for information.